Infrastructure and construction projects not only need a lot of sand, but also generate a lot of construction waste. The emergence of mobile crushing plant makes the contradictory between sand demand and construction waste be solved. It is the important equipment for sand and gravel aggregate production. The mobile crushing plant is also a mobile stone production line, set the feeding, crushing, conveying and other process equipment as a whole. Through combined with different models to form a powerful crushing line. It can operate anytime and anywhere. 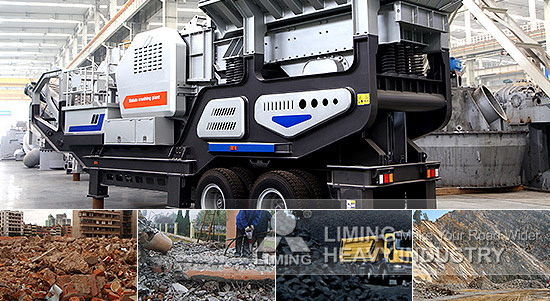 The mobile crushing plant has been able to play a significant role in the current construction, which the key lies in the aggregates after processing by mobile crushing plant can be used as renewable building materials into the new building and to ease the gravel supply market shortage problem. In the future, flexible, efficient and environmentally friendly mobile crushing plant will be the mainstream crushing equipment in mining industry.